Learning SEO process can really be tough. You are bound to get all confused with the plethora of articles online that have some very vast bank of information regarding the topic. But with this guide you can be sure to have it simplified and learnt as quickly as this article will take time to finish reading. Your ranking is determined by the inbound ranking which is alos the most important factor in determining that. Here is how Google looks at them. · The more a page has internal links the more is the ranking on the search engine. · Domains also affect the ranking of a page. If a particular domain has many links pointing to it, Google will perceive it as a trusted source and will place it higher on the search engine result pages. · The anchor text or the phrase or the words placed within the article that you can click, also account for your ranking. The more the searchable phrase is given in your text as link, more is it likely to be placed higher on the search engine page when they search for that term. The number of internal links may be an important factor in determining your ranking but a still more important factor is the quality of those links. · Authority is what the measure of a page. Google sees a page quality in terms of its authority on the scale of 0-10. As the numbers push higher, so does the authority which directly translates into your ranking being placed higher. This is known as the PageRank. Although it is not clear how exponential the system is. But one thing is for certain that it is definitely not linear. It measures how many other pages link to yours and what is their authority individually. · Similarly, Google also takes into account the quality of the domain linked to your page. Even if a certain page doesn’t have a page rank but is from an authoritative and a trusted website, it will automatically result into your page receiving a good credit if it is linked to your domain. The domain authority can be estimated through the checking of a website homepage’s PageRank, since Google doesn’t have a specific method for that. · You can transfer the PageRank to different pages through links. The linked-to page receives all of the PageRank if all the pages link to one site but if they are linked to multiple domains, the PageRank or the ‘link-juice’ is divided among them. Also, the higher is the link on a page, higher will it be weighted by Google. The most powerful link is always the first link that is received by the domain making the subsequent links coming from that very domain as worthless. This is so because Google looks at the links you receive as the votes in your favour. However, the votes coming later to reinforce the confidence are taken only as repetition. SEO uses this strategy in which the metric calls only for the unique links to the domain, ignoring the repeated ones. It gives you an idea of how popular is your page. Linking liberally to your own pages using relevant keywords is a very effective way to make your ranking high. This will increase the reputation of your site because of the heavy backing of the search terms in your site. Though, it will not be so much of help in the improvement of your PageRank or Authority. This accounts for all those links of the domain that do not link to the Homepage. When compared to the overall linking, it helps you to estimate the overall usefulness of your content. It indicates Google how relevant your content is to the people searching for the related topic. 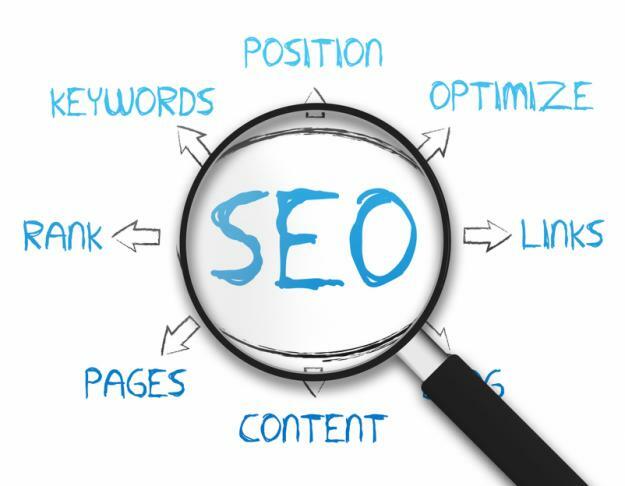 Secondly, you are also able to raise your rank for the long tailed keywords thus, increasing the authority of your site. Google is very smart and is able to recognize the naturally inserted keywords and the over-abundance of the keywords that may just be in an attempt to rank higher. Well, in that case, your page often experiences a back blow instead of going up on ranking. The links which are generally posted by the users on forums or blogs may not be perceived as reliable by the owner and they do not want to vouch for them. In these cases, the you can go for this option. These non-follow links are like normal links, only, they do not get any PageRank. Therefore, it is like a non-existent link in terms of SEO. With the coming of search engines, the importance of on-page ranking has reduced but is vital in case you have an ecommerce site where per-page metrics become important. Meta Title is very important for Google. It is the online description of your page which should comprise of your keywords used. Page Heading is another important element in which it is better to use the keywords you are ranking for. Meta Description though doesn’t have any influence on the overall ranking but is important to vouch for your click through rate. It is better to write a relevant simple and dialogue kind of on-page copy instead of robotic SEO-optimized copy for more natural ranking. Do not compromise the readability of your content for SEO since it will only result in lowering your pages’ popularity, authority and traffic. And that of course will translate into a lowered ranking. Just be sure to write engaging and compelling title, meta description and content and that will do the trick. Google rewards those pages a higher rank which have a high popularity on social media as well. This means that if you have more tweets and likes you will directly have a higher search engine ranking. This is why sharing of your content on social media platforms always help in higher placed rank. Are you trying to take your business to the next level or launching a new store online? Well, you’ve got a lot to do as without hard work you do not get anything in this world. Hard work is a key to succeed in almost everything and the web is not different to the rest of the world. There are millions of customers out there searching for your product/service every day and it is also true that there are also millions of websites available competing for those customers. Therefore, you can’t just build and launch your online store in India and leave it; you need to try hard to bring people to your store, creating a place where they feel comfortable for entering some confidential information and giving them such a service that they recommend your product/service to their family and friends. What sells online is probably the most asked question by majority of people in Indian market, and again, the answer is work. The difference between one store and the other depends a lot more on how hard they work than what they are selling. In online business, you can sell directly to customers worldwide. You only need to work hard to exploit such opportunity. And if you’re ready to work hard, you don’t need money at all to get started. So, let’s say, online business is similar to any other regular business, the only difference being it’s a lot cheaper and open to the world. It is same as a traditional business, except your shop or office is online; hence, you need to decide how it looks appealing and attract customers. As a general rule, launching your new business without being prepared can be a recipe for disaster and that’s why you’re suggested to be prepared as it will set the tone for your business going forward. When you’re selling your product online in India, whether it’s a single product or tens of thousands, there are several things that you can change on your website that will increase your sales, while maintaining the same amount of website traffic. Here are some easy and tried steps to attract visitors to your site and getting them to buy. Anyone, from a newbie to a seasoned online entrepreneur in India, can benefit from these tips for success. Online selling is not just about creating your online store and expecting people/visitors to stumble upon your website and start shopping. Most of the people create online store expecting this to happen, however, it doesn’t work that way. When selling online, you need to focus on learning how to get people to your website. After all, no traffic means no sales and certainly no profits. role the social media plays in increasing your online sale. This will be vital for the success of your business and people often underestimate this fact. Just having a great website is not enough; you need to bring visitors to it. One way to build traffic to your website is to do some keyword research and find out what people search for a particular topic. Typically, the search engines don’t rank ecommerce store pages well as they don’t tend to have a lot of content. And that’s why, it is recommended to create a blog or website matching the topic of your store to help generate leads or customers. 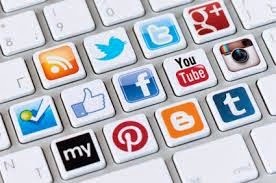 Social media is the lifeblood for many businesses that brings a consistent flow of customers and traffic. It’s an audience of people interested in your brand and products. As a rule of thumb, you’ll likely want to cover your online business with two largest social networks, Facebook and Twitter. Beyond the staples of these two, you may likely want to join other key social networks as well. Over the time, you will need to discover what works best for your brand. 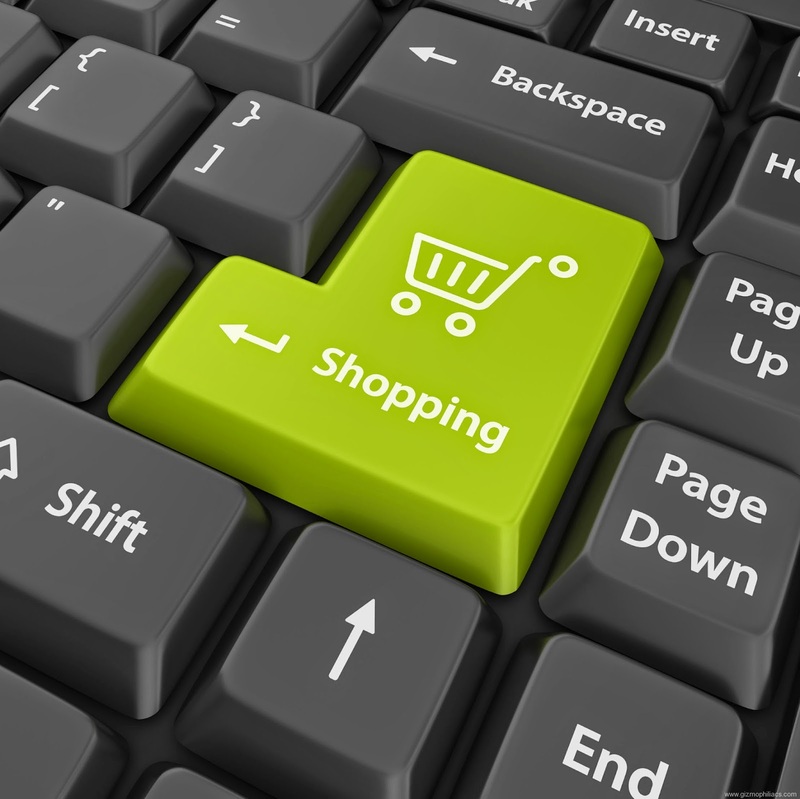 One planning to sell online, must start by shopping online. Put yourself in the customer’s shoes, you’ll find that it’s not hackers you worry about, but the merchant. Customers need to be assured that they’re ordering from a real and trusted source. Try to implement things that will show you’re real and will help in increasing orders. In addition, your website should offer secure online ordering, maintaining the security of customers’ personal information. Treat your customers as if each one is as important as ten customers. If you treat them well, each one of them will turn into ten customers, creating referral orders for you. The internet changes so rapidly that one year online equals nearly five years in the real world. However, the principles of starting and growing a successful business online haven’t changed at all. If you want to know about how to set up ecommerce business in India then read our article on Why should you create an online store? You’re someone who loves trading. You’re well aware that eCommerce is the present AND the future of ‘selling’. A lot more shopping is happening online now than ever before. To catch up with this trend, you have probably tried out experiments on marketplaces like eBay that allow you to list your product, find buyers and sell your products with ease. You’ve got everything in place to make money online by selling your products. All this is good because you’ve now got a hang of how online buying and selling happens. But is this sufficient? Do you have your own online store? If not have you considered building one? Below are some great reasons why you should be creating your own online store to sell products. In the process of building your own online store you also build a brand. Your online store will have a unique domain name (the URL that people type in to reach your site), it will have a store logo which you can link up to all your online properties like your blog, Facebook, Twitter and Pinterest accounts. Your store can also have multiple pages that can explain a lot more about yourself and your business. When shoppers make a purchase on your eCommerce store, they will recognize that they are buying from you and not a marketplace. Your quality of service & trust that such purchases will create remains with you and will not be shared with another brand. In simple terms – your customers are lot more connected to you & your business. The rules of selling offline (such as brand marketing) are very relevant even in the online world. Its simple – If you’re into this for the long term – its always better to own your brand. If you create your own online store, you get to decide your sales and returns policies. If you are selling on a marketplace you will need to comply with their existing policies. Most marketplaces also regularly change and update their policies. Eg: eBay releases two seller updates, or policy changes, every year. So as a seller you will need to monitor these policies continuously and make changes to your selling process likewise. If you don’t comply, there is a high chance your listing are flagged and taken down. Don’t know about you, but we surely love to have our own freedom when it comes to making policy decisions. Lets take an example marketplace like eBay – A seller on eBay needs to pay insertion fees, which differs depending on various parameters like listing format, final value fees which depends on the selling price plus shipping charges, store subscription level etc., eBay also has extra charges for simple things like International visibility, making a title bold, & having a Buy It Now option on an auction. So many variables, make the selling process for a store owner very unpredictable. You know your customers the best. One place where this matters the most is while setting up payment modes. Some online store owners might think Cash on Delivery should be the ONLY option on their store. While others would want to target an international market and hence want to have “PayPal” as a payment option. 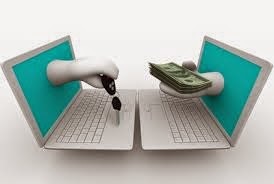 You might also want a Demand Draft/Money Order payment method or want to be integrated with a specific payment gateway simply because they offer better transaction rates. On a marketplace you wouldn’t have the full freedom to pick & choose your payment modes. You can have this freedom only if you own your online store. Most marketplaces are limited in the payment options they provide to their sellers. Creating an online store was never so easy! The ultimate reason you should open an online store is – It was never so easy to build one. 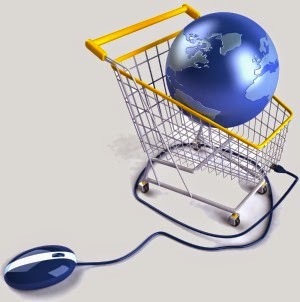 WorldMart allows you to have a fully functional online store within minutes. All you need to do is visit the Worldmart homepage and hit the “Try It Now For Free” button. You need to punch in your store name, email ID and a password. Thats it and a full fledged online store is ready! At worldmart we make it extremely simple and easy for merchants, businesses & individuals to create an eCommerce store. Typically, setting up an eCommerce store takes you at least 6-8 months depending on the web-agency you work with. But with worldmart, this happens in minutes. Give it a try now! If you want your customers to purchase from your online store again and again, there is one thing that you can never compromise on – your delivery service. If you make this process hassle-free, a huge queue of customers will start knocking at your online store. In fact, they might even consider switching from their usual brick-and-mortar shops to your online store. Wouldn’t that be great? Yes, it definitely will be. But Which Service Provider Should I Hire From This Clutter? Don’t worry. That’s why we are here to help you. 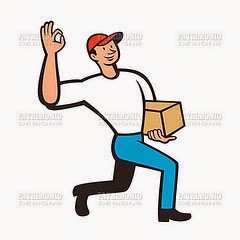 Over the years, we have tried out various courier services. Some experiences were excellent whereas some were equivalent to banging our heads against the door. Nonetheless, to save you from all these troubles we underwent, we are providing you with a list of Top 5 Courier Service providers in India in this article that will help you improve your delivery service. DTDC was unfortunately our worst experience. Maybe that’s because it functions on a franchise model. It means that there is no umbrella organisation that controls the operations of any particular unit. All units function independently, and as a result have independent rates. The worst part of DTDC is that they charge a little higher than other private service providers and lack quality service. Untimely deliveries, loss of shipments are some of the problems we frequently faced. If you are a beginner, Aramex will provide you one of the best logistics for your e-commerce store. They provide domestic as well as international services. However, irregularity, untimely deliveries, loss of goods, delay in settlement of COD accounts, etc. have been some of the frequently faced problems. Rates begin at Rs.21 per 500 grams. FedEx is an American courier company which provides domestic as well as international courier services. They have limited area of operation; however, they do provide excellent service in the areas they operate. Their prices start at Rs.20 per 500 grams. Blue Dart is a subsidiary of DHL. It provides one of the best courier services all over India. They have a wide geographical coverage as they serve 4000 pin codes in India. 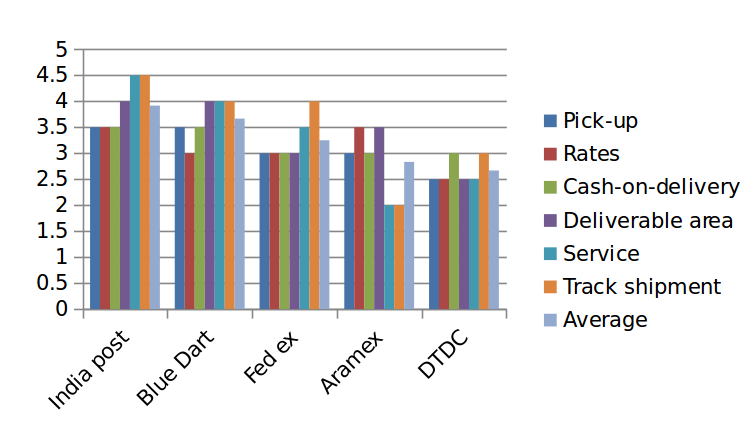 The only downside of Blue Dart is its cost which is one of the highest in this sector (starts with Rs.30 per 500grams). It is only due to this that Blue Dart has been pushed to number 2 in this list. On number 1 position, we surprisingly have India Post. In spite of being a non-private entity, India Post tops all other courier agencies due to its wide geographical coverage, excellent logistics and quality service. It is the best option for beginners as they provide free pick-up service for consignments weighing less than 35kg. Its standard rates are at par with private agencies; however, the quality of service it offers is much better than the rest. In conclusion, here is a chart to help you decide on which provider you want to go with.